(MENAFN - The Conversation) As shown by the February 2019 attack on a BBC cameraman by a Donald Trump supporter in El Paso, Texas, the January assault of journalists in Rome by far-right activists, the impossibility for journalists to cover events in Kashmir , especially after the recent tensions between Pakistan and India over the region, mainstream media are increasingly victims of populists leaders or their ideology. In the RSF Index 2018 report, the NGO Reporters without Borders highlighted how media were facing a constant 'anti-media rhetoric' from politicians that has spread out throughout the world. With such attacks, far-right political strategists such as Steve Bannon seek to discredit legitimate media and lift up social media – where 'news' can more easily escape from editorial gate-keeping and accountability – to become the main source of information to the public. Traditional media are of course not without fault – cases of biased reporting or unverified information are legion, particularly with growing media concentration as well as questionable political and business connections in countries such as Brazil , France , Australia among others. Nevertheless, the trends show that the primary victims of violence against media are journalists who report on racist or xenophobic policies and speeches. They are systematically targeted by some politicians as conveyors of 'fake news'. Brazil has now followed suit with their own populist leaders . In this context, how can journalists and media professionals recover the trust and their image of 'truth tellers'? In a recent study , we examined a group of Brazilian journalists who were striving to escape the restrictions of traditional media and create a new identity for journalists. They became bloggers in a pre-Bolsonaro era and their unique experience can be instructional for others. 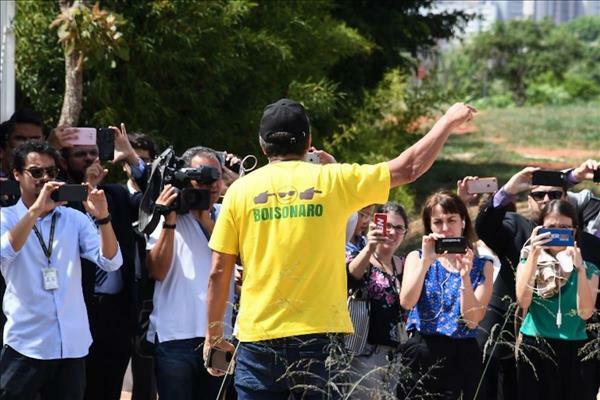 According to many of the Brazilian journalists' posts, their move to independence started with the biased and sometimes overtly false coverage of then presidential candidate Dilma Rousseff, Lula's former secretary of state. One famous example was the case of supposed criminal record : During the campaign, Folha de São Paulo, one of Brazil largest national newspapers, published Dilma's records from the time of Brazil's military rule. In the end, the 'proof' was discovered to be a fake document originated from a spam e-mail . This movement was mostly famously initiated by four journalists who abandoned or were dismissed from mainstream media after the 2006 elections: Luis Nassif, Luiz Carlos Azenha, Rodrigo Vianna, and Paulo Henrique Amorim. Their blogs were respectively called 'Luis Nassif Online', 'Viomundo', 'Escrevinhador' and 'Conversa Afiada'. The independent journalists embraced a tradition of critical journalism, uncovering relationships of power in journalism where the ownership of national media, according to Reporters without Borders' report , is dominated by 'ten or so major companies' belonging to a few families. They feed news for all outlets in a country with more than 200 million people as well as to international media. The bloggers also reinvented journalist practices and took advantage of social media's open access and participatory tools. For example, many of such bloggers started to openly display the news-construction process. On one side, they would deconstruct how mainstream media would hide manipulation and bias in the guise of supposedly 'objective and neutral' journalism. Progressive bloggers also invited users to follows the steps as investigations progressed and allowed them to witness the creation of journalistic reports. The blog piloted by journalist Luis Nassif displayed an 'In observation' tag for stories that merited public attention but did not yet have enough hard proof to guarantee their veracity. Journalists also invited readers to post videos and images that could prove or disprove claims. One case involved a right-wing candidate who claimed he was hit and injured by a 'blunt object'. Videos proved that the object was in fact a small paper ball . Another practice of the blogs was to encourage readers to become part of the news-production process by reposting their comments either reinforcing or critiquing an original news story. This was a widespread practice, with some users saying that critical comments were blocked and others suggested the presence of paid trolls. Such trolls were constantly denounced and confronted by users themselves. All the journalists' blogs dedicated a session to users , including 'Outras palavras' (In other words) and 'Você escreve' (You write). With these practices, progressive bloggers tried to create a new way of doing news. While the 'fake news' discourse was not as present then as it is today, their efforts suggest that some responses already exist. Some have been replicated by some journalists working today while others are still under the radar. These journalists still continue their pioneering work. Azenha and Amorim maintain their blogs, while Vianna is hosted by an alternative magazine and Nassif created his own news agency . Still, all of them have been further marginalized by the greater scrutiny and harassment from the right-wing militants and their trolls, and the increasing dependence on the financial support of their audience.